How many people are conducting “near me” searches? From 2011 to 2014, the number increased 34 times. This is evidence of the continued rise of importance in local search engine optimization, or SEO. In this guide, we’ll take you through the basics and give you some tips on how to start utilizing this digital marketing practice. Local search engine marketing shares many best practices with SEO, but there are some things you need to know about the former. Keep reading to learn 5 things every business owner needs to know. 1. What Is Local SEO And Why Does It Matter? In the past, SEO was all about having the right keywords in your website content and code. People could get their websites to rank high by stuffing their pages with these keywords because keywords were how users searched for information on the web. Then, when everyone started keyword-stuffing, people turned to massive directories and backlinks. More recently, SEO has become a more organic process because search engines like Google are becoming more intuitive. Users don’t search by keyword strings anymore, so stuffing your site with a list of words won’t earn you a decent rank on a search engine results page (SERP). As search engines changed their algorithms to meet user needs, websites had to change too if they were going to rank. In other words, SEO transformed from pleasing the search engine to trying to please the user. In turn, this allows websites to please search engines, leading to better rankings on SERPs. Pleasing the user–and therefore also the search engine–now requires websites to account for local SEO. Keep in mind that your main goal should be to meet the needs of consumers, and you won’t have to worry about trying to trick the search engines into giving your page a high rank. Timely and transparent responsiveness can save the day if and when a consumer leaves a bad review. Ignoring a negative review leaves the entire story up to the reviewer. But, instead of correcting the reviewer, if you can turn a negative review into a customer service opportunity, readers are more likely to see your brand in a positive light. The best way to maintain a positive online reputation is to avoid getting bogged down by bad reviews. Encourage happy customers to review your brand whenever possible (without pestering them). Citations are directory listings for your business. One common type of citation, of crucial import to local SEO ranking factors, is the NAP citation. NAP stands for name, address, and phone number. NAP citations offer users who search locally the information they need in order to contact or find your business. Users who want to check your address before they get in the car to visit your store and users who want to call to check your hours are good examples of consumers utilizing NAP citations. The two best places to ensure your NAP citations are working for you are on your own website and on Google My Business (GMB). Claiming your business on GMB is easy and free, and a great way to boost SERP rankings. How does social media fit into local SEO tips, you might wonder. Social media is a pathway to create and engage with an online community. Not only can social media provide your website with traffic, but it allows your brand to connect with real users in real time. Social media also provides a way for users to review your brand, and for you to manage some of your online reputation. You don’t need to be a social media jack of all trades in order to succeed in this piece of local SEO. In fact, you shouldn’t overstretch your efforts where social media networks are concerned. Pick one to three networks where your ideal customer is and give those your attention. Follow these simple rules and watch your SEO efforts head in the right direction. This is a tip that serves SEO and local SEO alike. If your website isn’t optimized, people won’t read it. If people don’t read your website, search engines won’t rank it higher in SERPs. The best place to begin with optimizing your website is to obtain a baseline report of its current status with an on-page analysis. read more about SEO and the value of an on-page analysis. 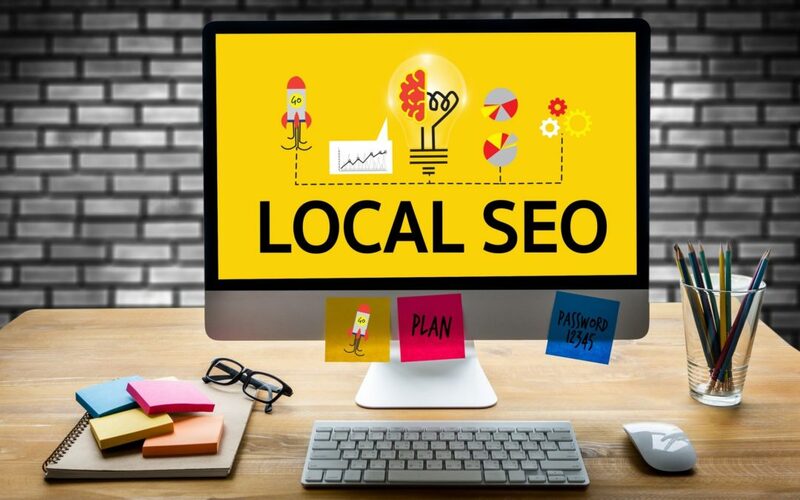 In short, local SEO is ensuring that your online presence serves potential consumers so search engines will place your website and citations in their path. It’s about helping local users find you. Like learning SEO, understanding and employing local SEO can seem daunting at first because there are so many moving parts. By starting with the tasks we laid out above, you can learn more about the SEO process and how local SEO works. There’s more to both practices than we included, but we’ve given you a strong foundation. Keep your efforts customer-focused, be patient and be consistent. No matter which local SEO tactic you’re working on, more website visitors and more conversions are possible. Contact us to get started with mastering SEO and local SEO for your website.